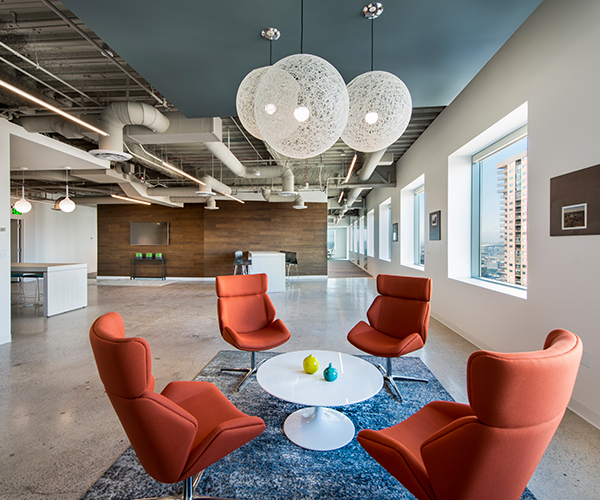 "Over the course of three years our law firm built out two offices and on both occasions we chose Abel Design Group...They were able to manage a wide array of challenges between the different cities where we operate, and the end result was a top notch office space in both locations that we are all very proud of," Justin Kaufman, Partner, Heard Robins Cloud, LLP. 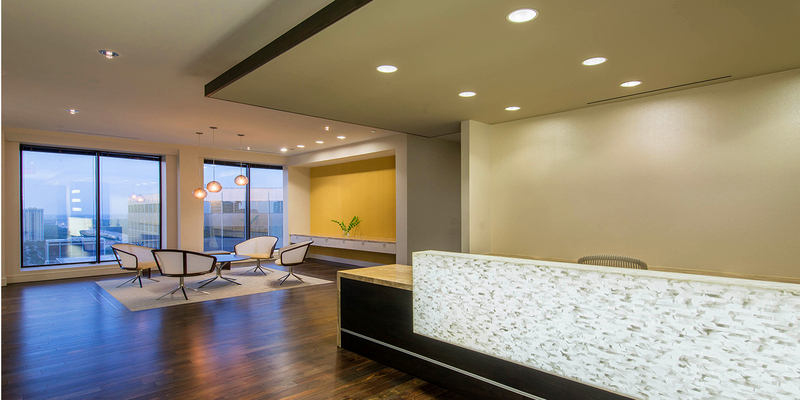 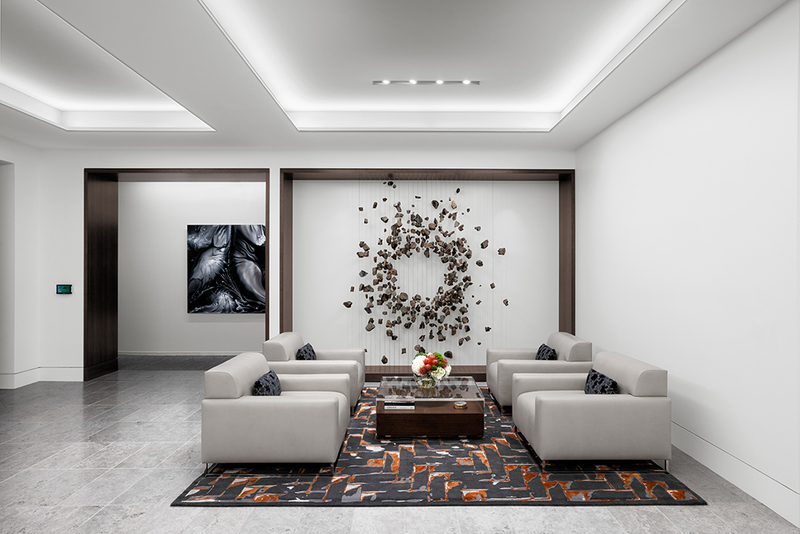 The client, a personal injury law firm in Houston, Texas, wanted a modern and light-filled workspace. 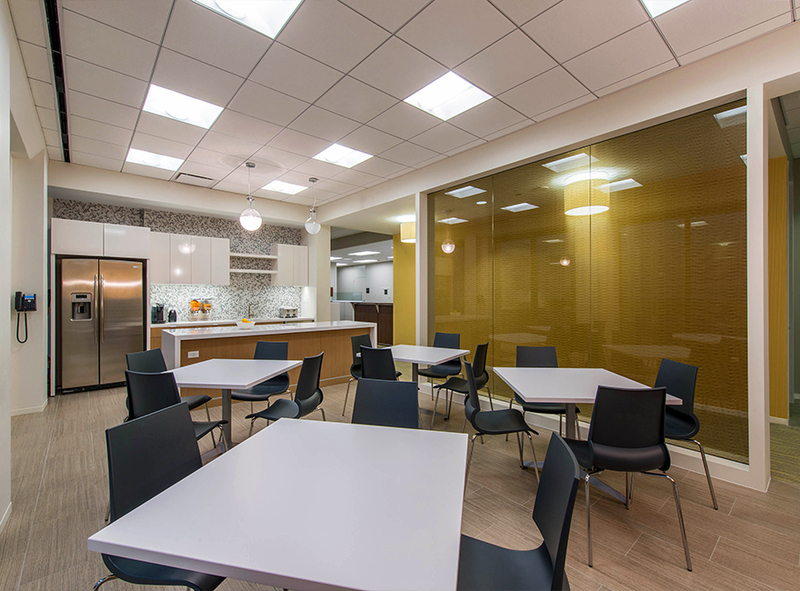 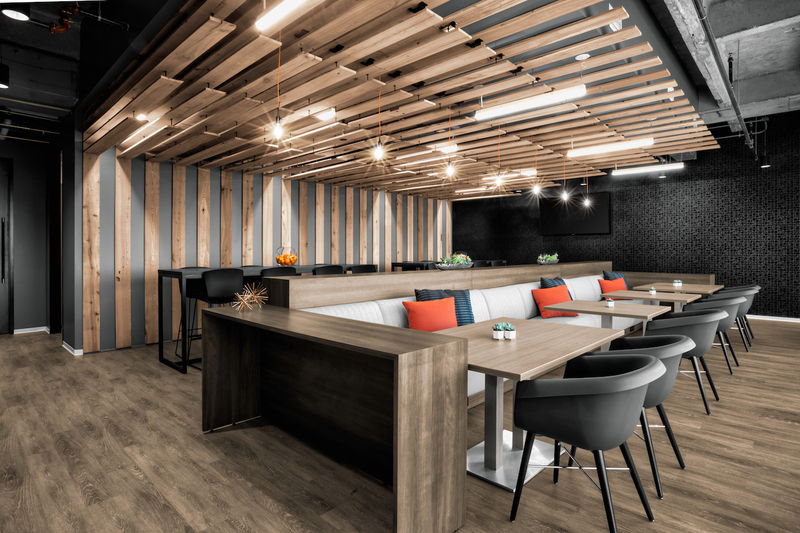 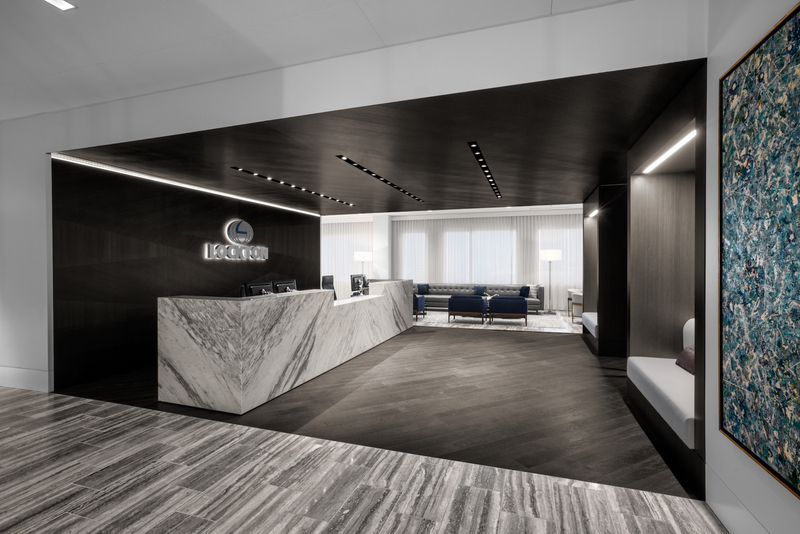 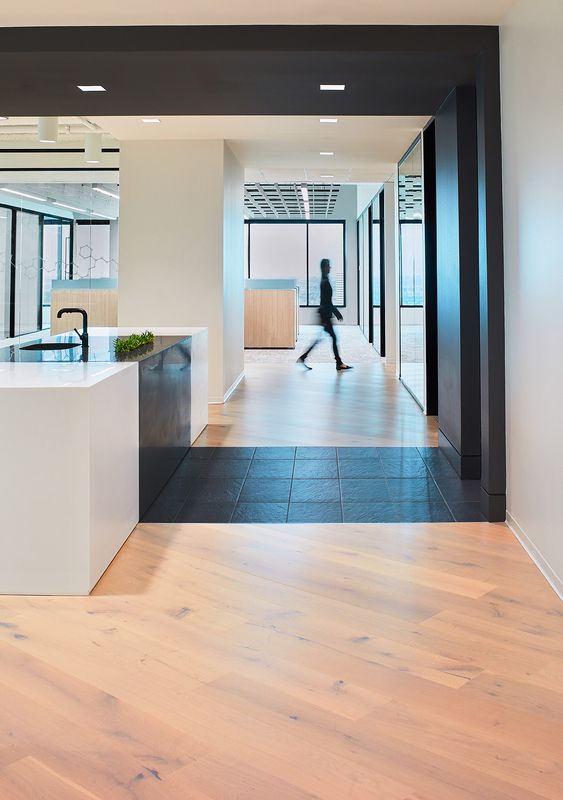 To achieve this, the design team chose to replace the typical heavy wood paneling and dark interior spaces traditionally associated with law firms with open workstations, plenty of light, and non-traditional uses of classic materials. 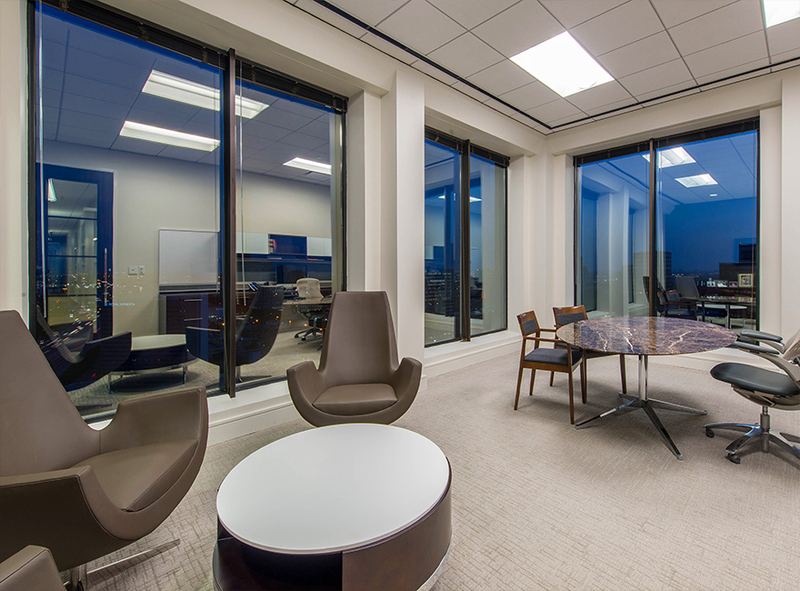 The public areas highlight views of the CBD, and every seated area in the office has access to natural light. 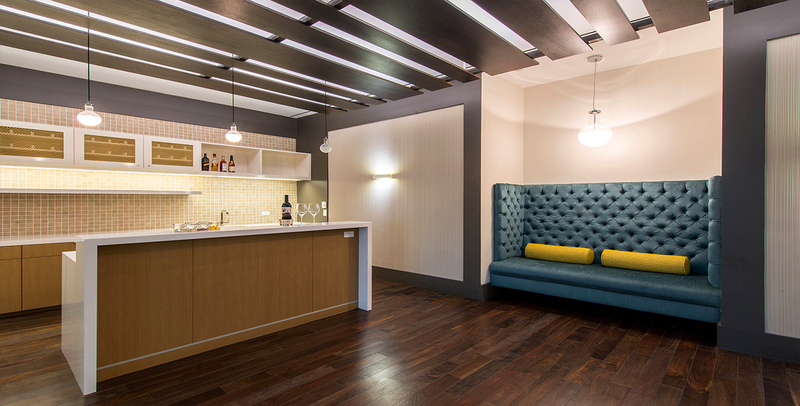 The finishes chosen for the project are inspired by menswear and include pinstripes, wool, silk, and leather. 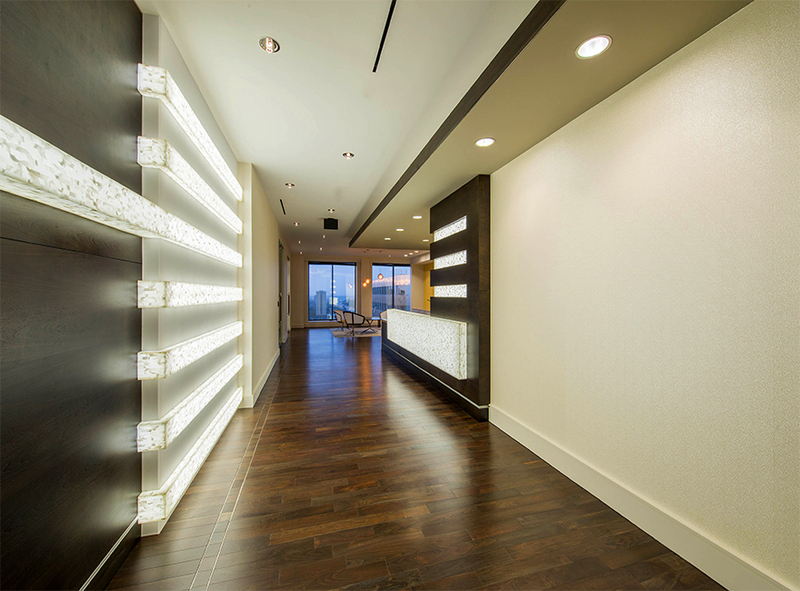 Wood paneling was used to help guide visitors to the reception area and as an accent on the workstations. 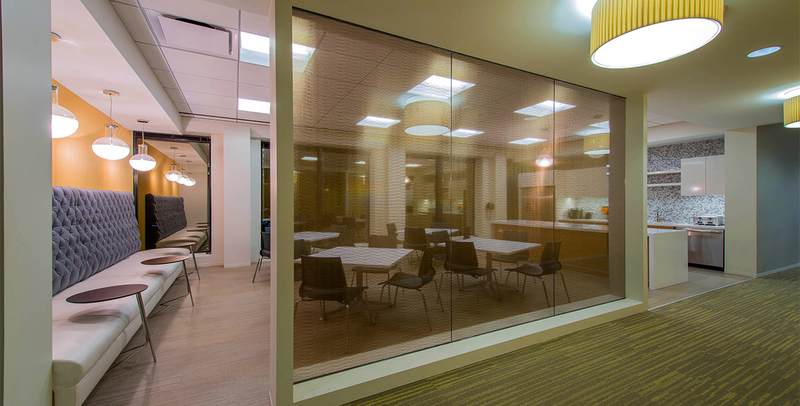 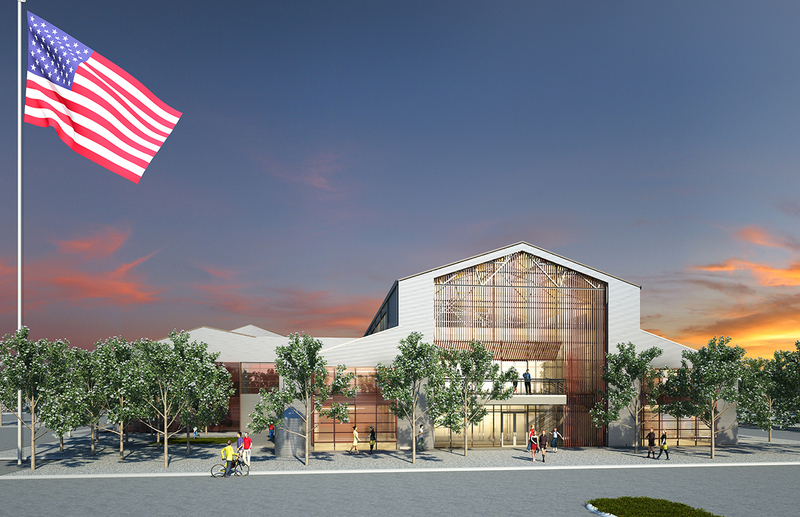 Abel Design group was also selected to design a secondary office location in Sante Fe, New Mexico. 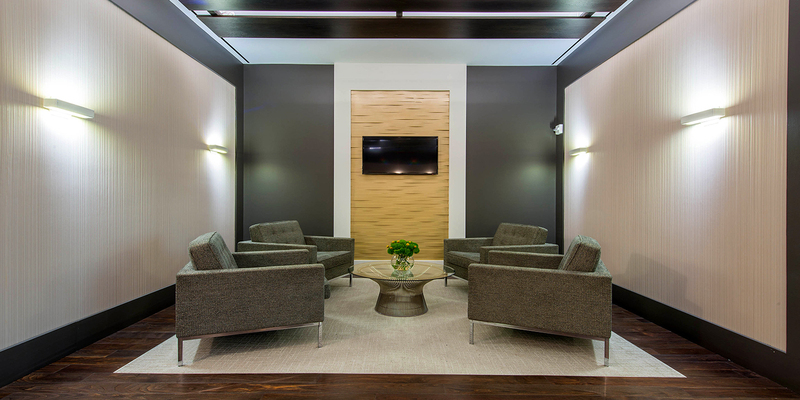 The goal was to create consistency between locations, yet still incorporate the local aesthetic.